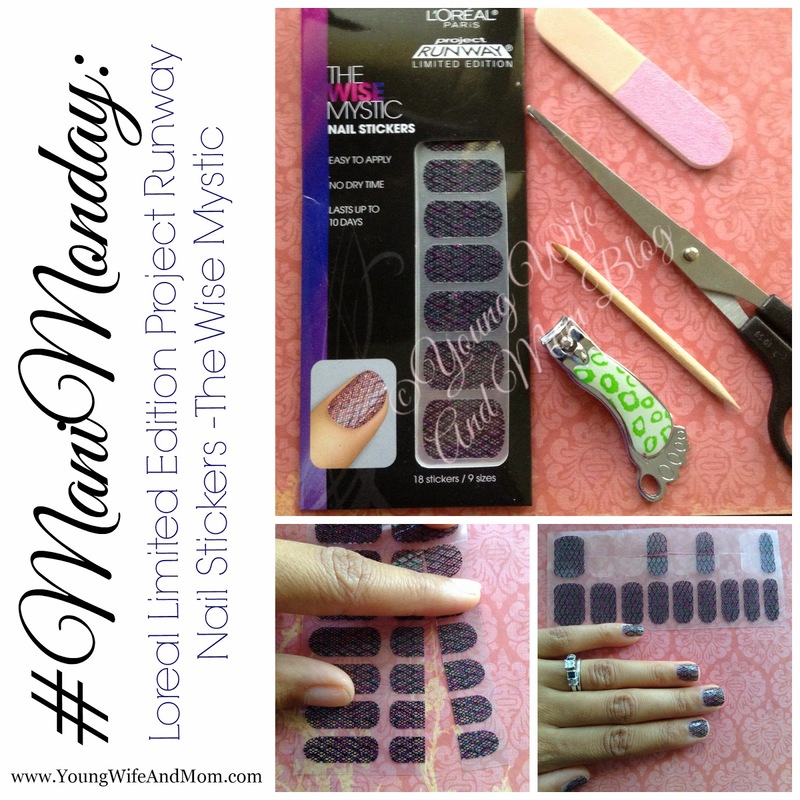 Today's post uses Loreal Limited Edition Project Runway Nail Stickers - The Wise Mystic. I found name brand nail products at the dollar store and they have been my favorite find! These are designed with 18 stickers in 9 sizes, however, I like my nails short and cut mine in half to be conservative. Check out the results above! The how-to on using nail stickers will be posted soon! What are your nails sporting today?